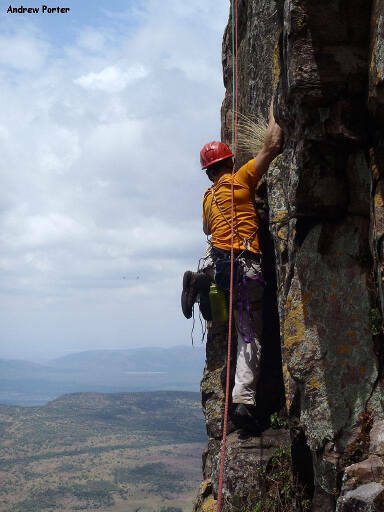 Brief summary of venue Kransberg offers good quality multi-pitch climbing at moderate grades. 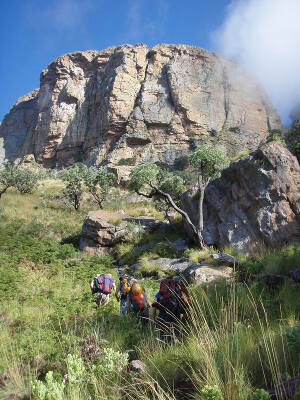 With routes of between 3 and 6 pitches long and grades from 11 to 22 it is a great place to hone your multi-pitch skills before heading off to Blouberg. The exposure is excellent, and the birdlife unrivalled. The cliffs can be a little cold in winter so the area is best visited in warmer months. Permit/ permission info Open to mountain club members. Contact the MCSA for directions and the latest access information. Approximate travelling time from Johannesburg Three hours. Parking information Shady and secure parking available. The last 500m are off road but passable with a normal car. Info on walk in The walk in is steep, and for most sections without a path. Expect a little bush bashing and wear long pants. The hike to the base of the cliffs takes about an hour. 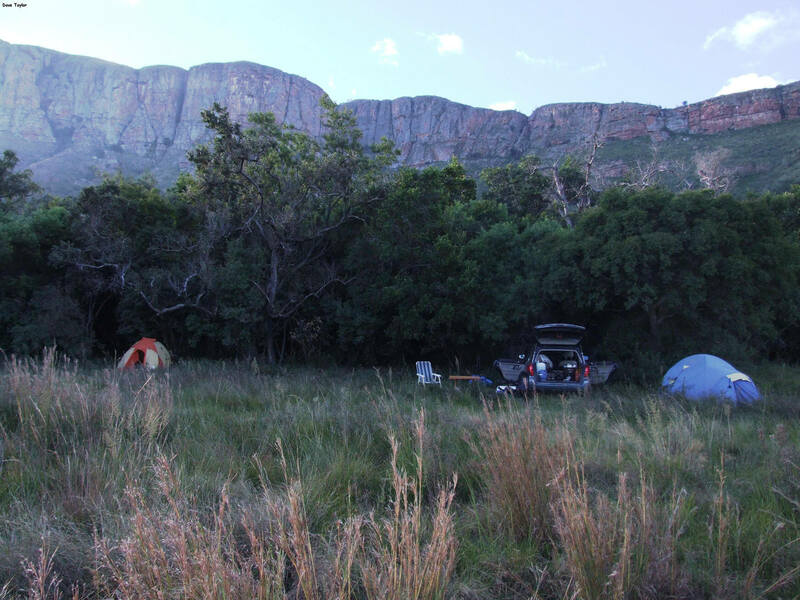 Accommodation Car camping. Bring your own water for the campsite. Availability of water for drinking None at the car park, but reliable year round water at the base of the cliffs. 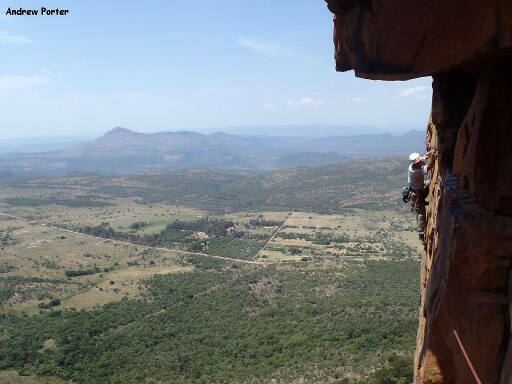 Climbing route guide The MCSA Johannesburg Section has published a route guide, which is available from them or from Drifters. Climbing information Kransberg has 85 routes between 3 and 6 pitches long. Grades range between 8 and 22, with many great routes between grades 15 and 18. The face climbing tends to be a little run-out. Descents are via gullies. No bolting is allowed. Child friendly Yes, at the campsite/ car park. 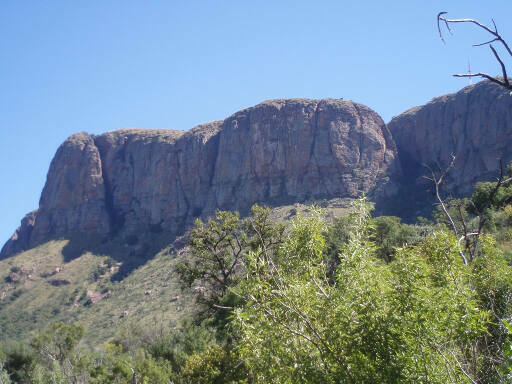 Other attractions A large vulture colony can be found nearby and it is common to see vultures, eagles and other raptors fly by while you are climbing – an experience not to be missed. 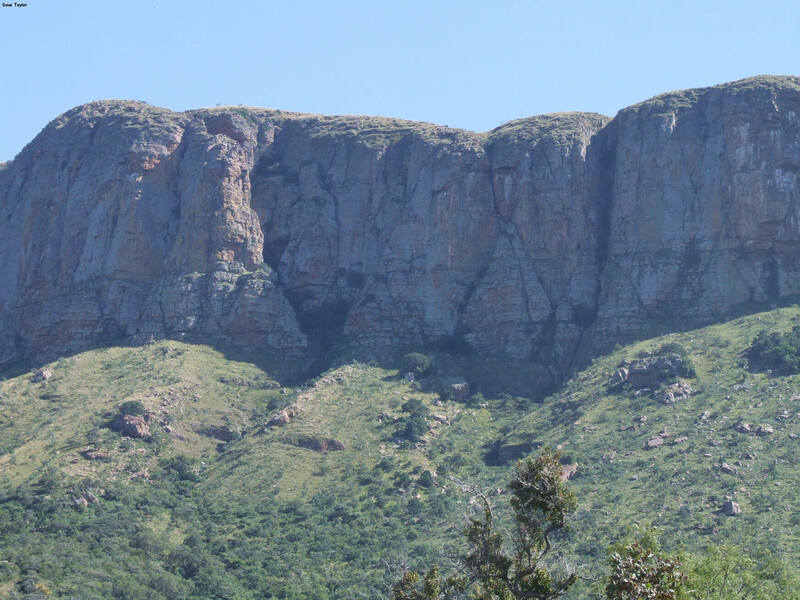 Nearby game reserves offer side attractions if required. Contacts MCSA Jhb Section. e-mail: admin@jhb.mcsa.org.za Tel: 061 461 8259 (15h00-18h00 weekdays).